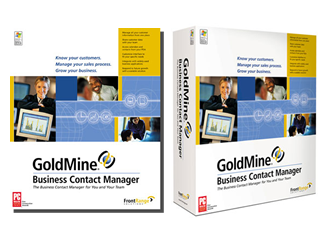 When GoldMine Software was growing their Partner Channel Program from 90 partners to 2000, they did a great job of providing solid tools for partners to use and created good quality leads. However, they lost visibility of what happened to the leads once they were passed to the channel. Since GoldMine was 100% channel-focused and all sales were being driven through the channel, this created a large gap in forecasting sales, tracking ROI, identifying which prospects were being converted to customers and capturing data for why leads were not closed. We created a Partner Portal into our CRM that allowed us to automate the process of assigning leads to partners by region and level. Partners were assigned unique log-in information so they could go in and get their leads at their leisure. They were assigned no more than 10 at a time, and an email was sent to let them know that they had been assigned leads. Each partner had 48 hours to pick up the lead or it was reassigned. When the partner logged in, they had the option to either “Pick It Up” or “Pass It On” if it was not a good fit for them. The “Pass It On” leads were reassigned. We had weekly calls with the partners to review all the leads that they were working. After the meeting, the partner would go into the Partner Portal and update the leads. This allowed us to know which partners had what leads and where they were in the sales cycle, therefore bridging our forecasting gap. Following the lead from beginning to the end allowed us to track live cost-per-lead and cost-per-close, which helped us to spend marketing dollars more efficiently. Tracking and rating the lead also gave us a big picture of why were winning and losing deals. We fed that information back to the product development department for future product enhancements.